Time tracking and employee scheduling are often thought of as profit-driven necessities. Nonprofit organizations need to track hours, too. We also need to schedule employees and volunteers in the most efficient way possible. It’s what we do. Before we begin, let’s review the role and function of a nonprofit. A nonprofit organization is a group or organization focussed on making a difference in the community. These organizations are tax-exempt and operate much like a business. Nonprofits can include credit unions, religious organizations, or charitable efforts. Some big examples of nonprofit organizations include Make-A-Wish and American Red Cross. Some lesser-known examples include your local church, soup kitchen or animal shelter. 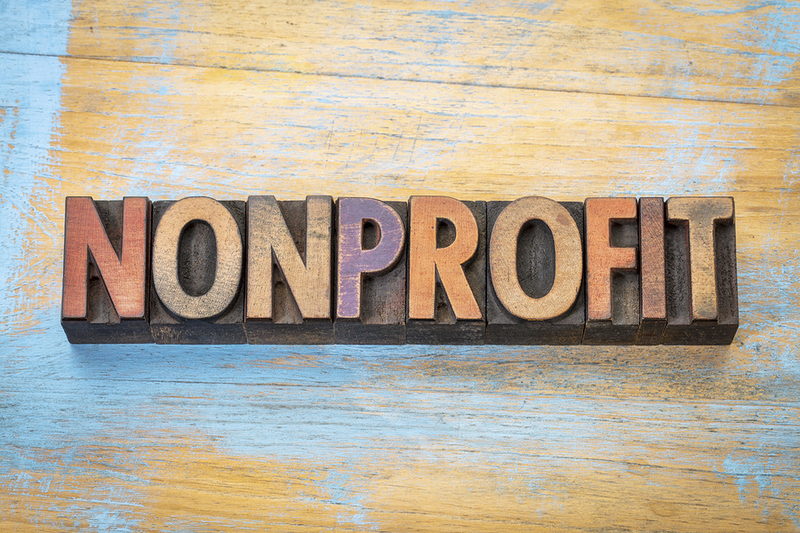 Nonprofits are usually organized under an IRS code section 501(c)(3). This code allows the organization to operate as a tax-exempt entity. Proceeds from sales serve the stated mission of the organization and are not accumulated as profit. Nonprofits have employees and volunteers who need to be scheduled and tracked. In most cases, tracking hours is an important function of payroll and compliance. The argument can be made that time tracking and scheduling is more important for nonprofits than for commercial organizations. It’s pretty common for non-profit organizations to have employees all over the map. Literally. Red Cross has employees and volunteers in every country on the planet. Your nonprofit may not be as geographically distributed. There’s a good chance, however, that you have people in several locations. Distributed employees can make payroll a nightmare. Collecting time cards, validating time claims, and transcribing are problem areas. Your nonprofit doesn’t have time to chase down late reports or sleuth out errors. It’s nice when you don’t have to do that as part of your weekly routine. Mobile time tracking is your answer. Mobile time tracking can help you prepare for payroll in record time. Nonprofits prefer mobile time tracking because it allows employees to clock into a central system from anywhere. Payroll and HR managers love mobile time tracking because it makes running payroll as easy as exporting a summary file. Mobile time tracking helps nonprofits save time for more important things. And with limited budgets and scant resources, it’s nice to know mobile time tracking will save you money, too. Automated time tracking can help your nonprofit remain compliant with industry regulation. Tracking time is often a component of your tax-exempt status. Tracking hours and measuring compliance is a lot of work. Automated time tracking and employee scheduling can take the work out of compliance. Automated time tracking measures each employee’s time on the clock. Alerts and warnings can be set to measure over time. Integrated scheduling can take advantage of system settings to help you avoid budget overruns. Job role designations can also warn you of potential scheduling problems. Integrated scheduling tools can help you manage projects more efficiently. Scheduling tools can also help you maintain compliance and efficiency. For instance, you may have specialized job roles that can only be filled by certified employees. Your scheduling tools can help you avoid mistakes without you having to think about it. For many nonprofits, volunteer work is central to success. Tracking volunteer hours may not seem important, but it can be a significant factor in demonstrating compliance. It can also be a boon to fundraising. Tracking volunteer hours is easy with mobile time and attendance tracking. Each volunteer can log into a virtual clock and record time on the project. Official reports can be registered for compliance. Volunteer effort and community service can be substantiated. Donors and financial supporters can be assured their contributions are doing something good for the community. HR managers can accumulate data for resource planning in the future. Your nonprofit will run more efficiently and can prove success in new fundraising. When it comes down to it, your nonprofit is in the business of squeezing efficiency out of every penny. Doing so helps your donors feel good about their contributions. It also assures that resources are doing their job to meet your community objectives. That’s why it’s important to maximize your labor budget. Automated time tracking can help you reduce expenses and optimize the use of human capital. Clock-in restrictions can limit the time window for clocking in or out. A simple difference of five minutes can cause unplanned overtime to overwhelm your budget. Avoid this costly mistake by adding lockout settings that enforce time compliance. Other unplanned expenses such as buddy punching can be avoided. Geofencing or biometrics can assure the right employees are on the job at the right time. The savings to your organization with only a little effort can be substantial. Integrated scheduling tools can cut waste and overlap; two areas of impact that are easy to fix. If your nonprofit schedules employees for special events or peak service times, overlap, overstaffing, and understaffing can be big problems. Scheduling tools help you manage employee schedules so that there aren’t too many people working at the wrong time. They can also help you avoid understaffing based on seasonal history or daily influx. Scheduling tools help you track history so you have data to help make better decisions. Integrated scheduling can also save you time with schedule templates. One of the best scheduling tools for almost any organization is Employee Self Service (ESS). For a nonprofit, ESS can save time and effort by allowing employees to manage their own schedule. When employees need time off, they can request it in an open forum and allow others to volunteer for available shifts. Managers no longer have to track down employees or maintain calling tree protocols. Employees get alerts when the time is available. Managers always have the option to approve or decline a request. All online with mobile access. ESS alerts will warn employees and managers of potential conflicts, too. Unplanned overtime, coverage gaps, and overlapping shifts can all be avoided automatically. Scheduling tools take the time and effort out of managing your workforce. Saving time and money are always at the top of this list for a nonprofit. Automated time tracking can help you save a lot of time. If collecting time cards or running payroll is taking more than a few minutes at your organization, it’s worth looking into. Scheduling tools can also help save a lot of time. Especially unplanned overtime, scheduling conflicts, and HR resources. Together, time tracking and scheduling tools can help your nonprofit save more time and money. And that means more resources to help you build your community, or save the world.